There is no better way to start your Juneteenth weekend than to connect with Austin’s movers, shakers and tastemakers. 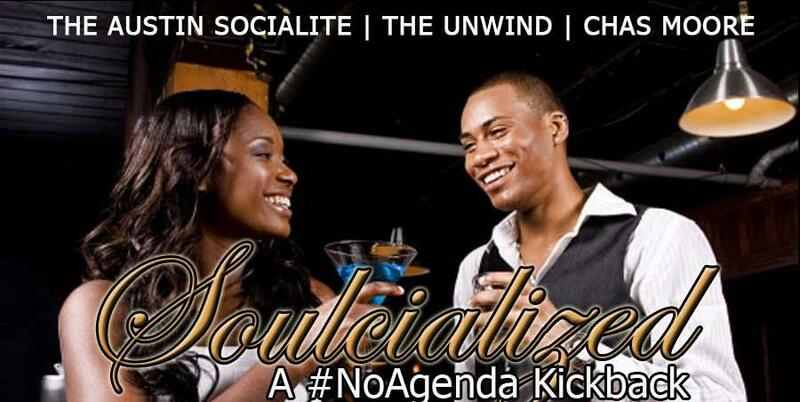 Join The Austin Socialite, The Unwind, Urban Life & Style, and Chas Moore as we bring in Summer 2015 with Soulcialized: A #NoAgenda Kickback. Specially selected handcrafted cocktails are available at a reduced price to help you ease into this momentous weekend. DJ Hella Yella and DJ Kay Cali is providing the soundtrack of Old School, R&B, and Hip Hop to spark conversation, an occasional head nod, and possible two step. But you are the main ingredient to this social concoction that celebrates life and living with no agendas or conditions. **Three premier curators of Austin’s social scene have teamed up to develop and execute a world-class after work experience. We look forward to getting Soulcialized with all of the beautiful people in Austin!